If there is a single key to creating affordable centerpieces with a sumptuous effect, it is to include more reusable, sustainable elements and fewer live florals. We see top flight designers employ this principle over and over again, with results that are elegant and luxurious. If you"re a professional event designer, we recommend building an arsenal of quality centerpiece building blocks so that you can offer your clients the best value on jaw-dropping setups. 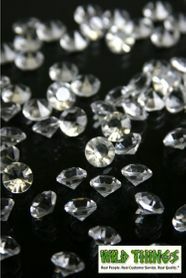 Doing so is a major differentiator in the marketplace, and it"s also a sustainable business practice. 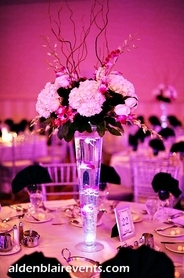 And if you"re a bride in the market for DIY centerpieces that look professionally put together, the same rules apply. This article highlights designs that are built from flexible, reusable Decor items, with florals as accents. In some cases, the florals that we show are quite extravagant, but by substituting less expensive varieties and/or fewer stems, reducing costs while maintaining the effect would be completely doable. 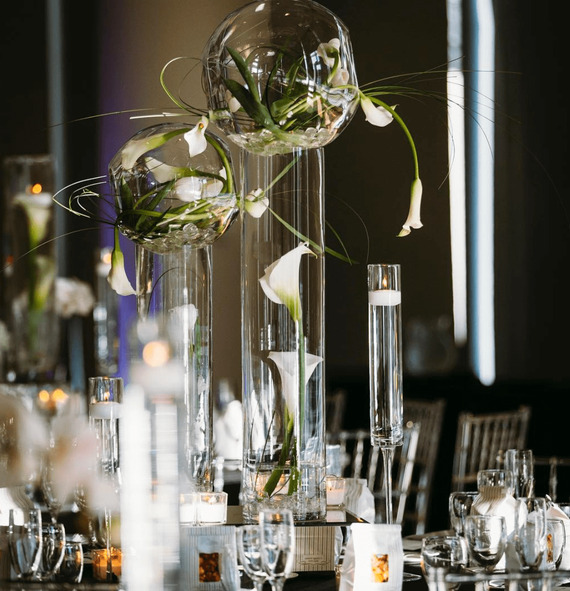 To achieve a sleek, almost architectural centerpiece, use cylinder vases in a variety of widths and heights, glass globes with diamond confetti in each, and a square centerpiece mirror. The relatively small number of live blooms keeps the cost under control, and the quality of the reusable building blocks makes this setup one that you can sell over and over, customized for different color schemes and aesthetics. Candlestick vases, hurricane globes, a variety of candle holders, and more centerpiece mirrors work together in this recipe for a centerpiece that sticks to a reasonable budget while not cutting corners. This centerpiece can include live blooms or can stand on its sustainable elements alone, and either way, we"re in love with the table number card showing the bride and groom at the age of the table number. If you simply must have live blooms to feel married, choose a limited arrangement of in season flowers, and use oversized candlesticks to create a larger footprint in keeping with the scale of the room. Yet again, the unsung hero of this centerpiece is the Sparkly Square Mirror, and we love the rhinestone riser version oh. so. much! Doing dual duty as a centerpiece building block and as a dessert stand, these pieces are utility players with bling to spare. 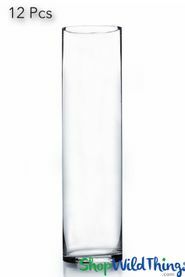 And don"t forget the Mercury Glass Votive Holders to create the layered effect that finishes the look. 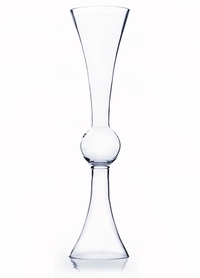 Finally, a luxurious tablescape that we adore starts with a simple glass trumpet vase surrounded by cylinder vases. Add a square mirror, and you have the perfect setup for any assortment of live blooms. Choose in season flowers with large heads to keep costs under control, or replace the live florals altogether with crystals, candles, acolytes, or other sparkling container fill. We have lots of jobs, from product fabricators to creatives to custom product designers ~ but first and foremost, we think of ourselves as problem solvers. We love to find the Decor pieces that will do double duty, look great for years, move from application to application, and create great return on your investment. Centerpiece building blocks are the perfect opportunity to incorporate smaller products into your warehouse of sustainable Decor. Whether you are updating an existing warehouse or just beginning to stock products that you"ll sell in setups, we recommend starting with centerpiece elements for the maximum immediate return. We would love to help you place an order of flexible, reusable pieces that will work from centerpiece setup to centerpiece setup, week after week, and that will keep your brides talking about elegant design at affordable prices. Give us a call at 1-928-855-6075, and let our friendly customer service folks help you get started building an arsenal of reusable centerpiece building blocks that will take your creative vision and your business into 2018 in style.